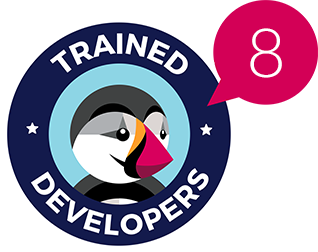 This Prestashop module helps displaying configurable images, links or text instead of zero prices for out of stock products and preventing customers from buying them. 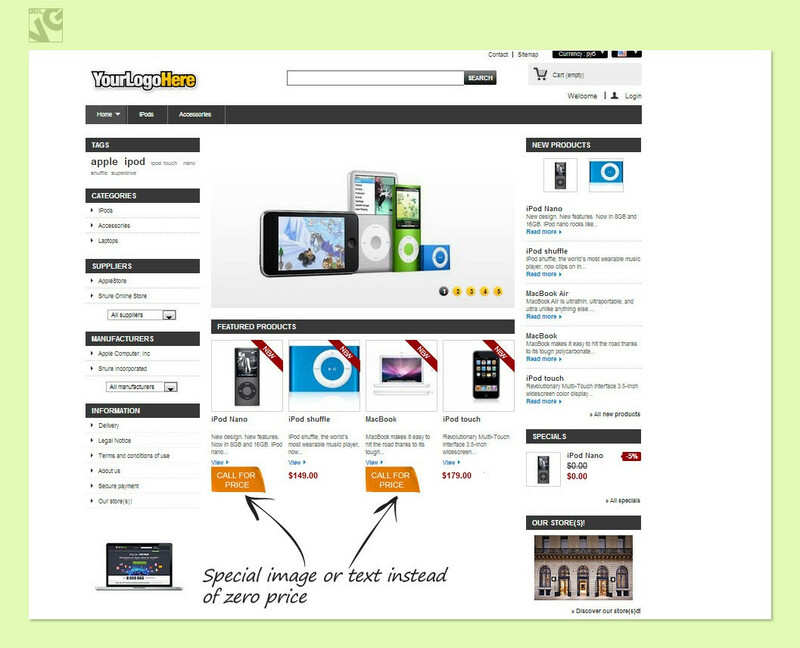 Prestashop Call for Price module is a perfect solution if you want to show whole variety of products on your store. 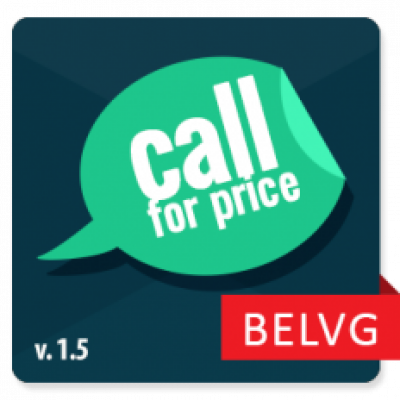 If the price for a product is set to 0 the module will display a configurable image or text instead of the price tag. 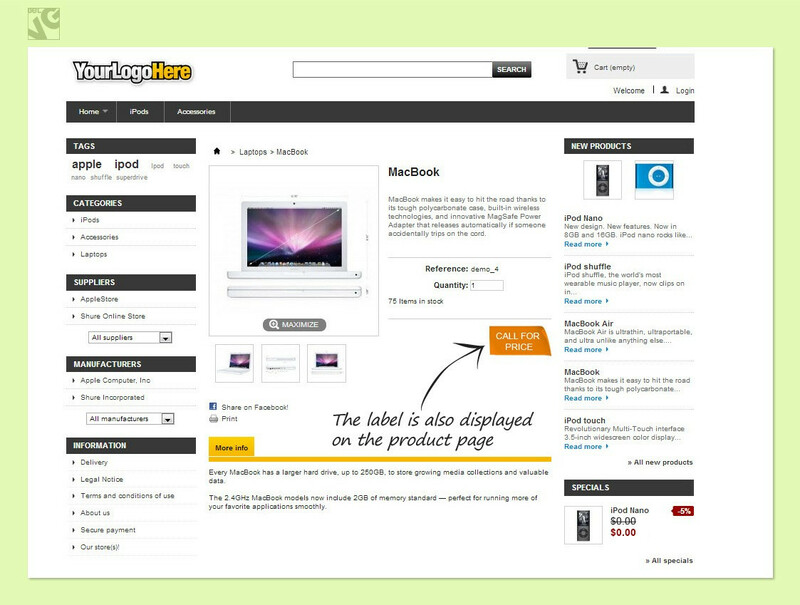 So, customers will still see your products yet will not be able to add them to the shopping cart. 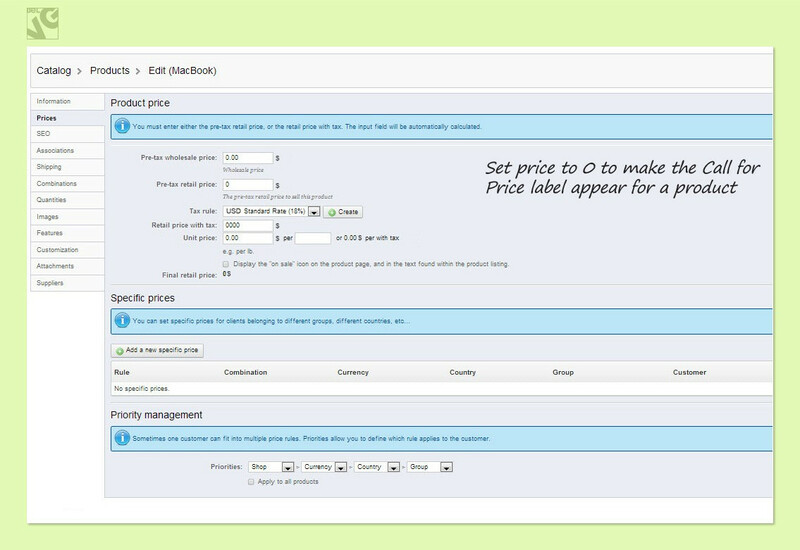 When you change the price of any product to zero the configurable image will be displayed instead of the price. 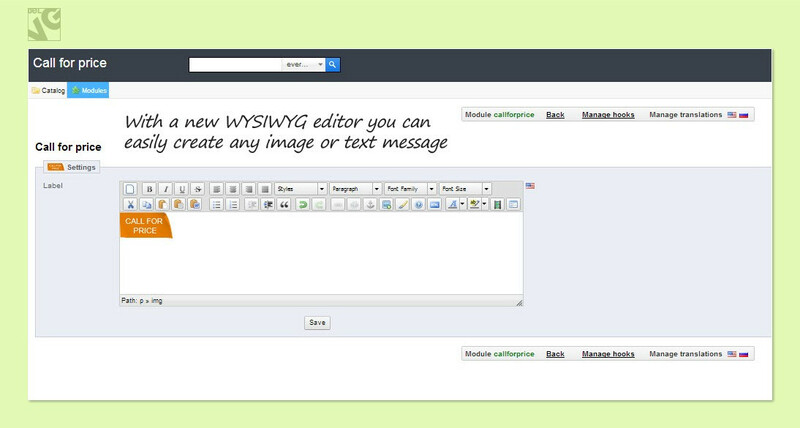 Beside images you are free to post a message, link or something else. It can be used in a variety of ways. 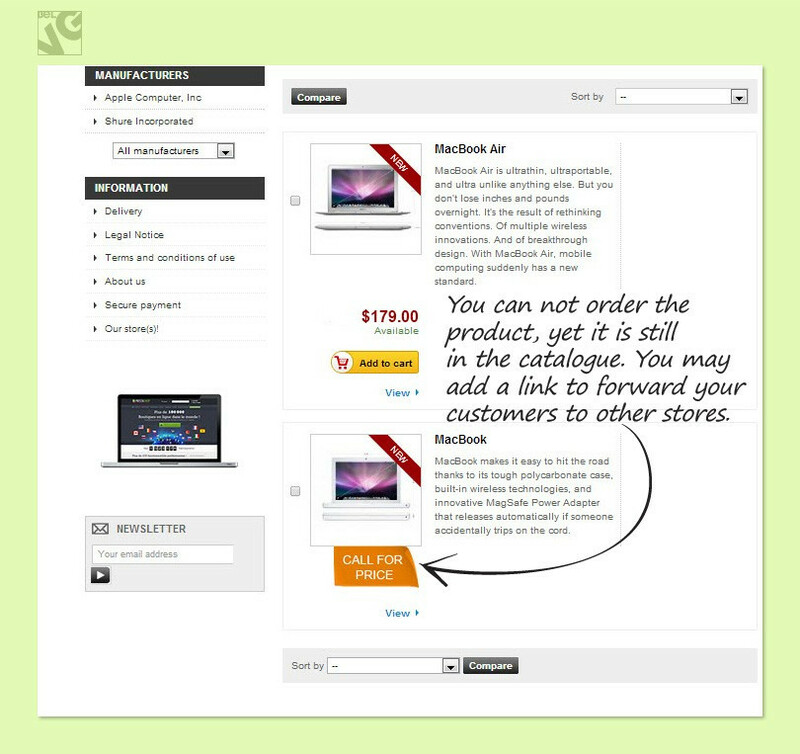 For example, telling your customers to call for a quote or pointing to another store where the product is presented. The setup of the Call for Price module is absolutely standard without any extra difficulties or peculiarities.